The main purpose of a customer service specialist is to be a ‘professional’ for direct customer support within all sectors and organisation types. You are an advocate of Customer Service who acts as a referral point for dealing with more complex or technical customer requests, complaints, and queries. You are often an escalation point for complicated or ongoing customer problems. Completion of this apprenticeship will lead to eligibility to join the Institute of Customer Service as an Individual member at Professional level. Should you choose to progress on a customer service career path, you may be eligible for further professional membership including management. An employer will determine their own entry requirements for an employee to commence this apprenticeship, but these general entry requirements apply; you have to be aged 16 years or over and must be working in the hospitality and catering sector for at least 30 hours a week. You also need to be a resident in England and not taking part in full-time education. If you are not yet employed, HIT advertises apprenticeship vacancies with employers on the National Apprenticeship website. This is a free service and there are many apprenticeship opportunities available. You can find and apply for current Apprenticeship Vacancies here. You can also visit Hospitality Jobs UK, one of the UK's largest and fastest growing online recruitment advertising job boards, established specifically for the Hospitality, Catering and Leisure industries. Whether you are looking for a job in a pub, hotel, restaurant, leisure facility or cruise ship you can search through thousands of jobs and get expert career advice, help & tips. You can apply for this apprenticeship at any time of the year provided you meet the entry requirements. Jobs, courses, opportunities. Need advice? Simple - Talk to an expert at HIT. Inspirational training helps you on the road to success - develop while you earn. Need all the info? Download a copy of our Brochure here. McMullen’s chose HIT as its sole external provider for Apprenticeships and vocational qualifications in early 2015 and since then we have found them a pleasure to work with. Their expertise in this sector is superior and they have proven to be a professional and supportive partner who have a passion for learning and development, which matches our own organisation. Encouraging our staff to improve their skills set and supporting them through apprenticeships and training programmes underlines our commitment to help them further develop their own careers. Offering the Level 4 Higher Apprenticeship also gives the Brend Group a point of difference which I’m convinced will help attract new members of staff in the future. Our partnership with HIT has certainly made recruitment much easier in a very difficult labour market and gives us a point of difference in an increasingly competitive environment. Kew Green has also benefited enormously from well trained, skilled and competent staff who contribute significantly to the ever improving and high levels of customer experience that our guests expect and deserve. Apprenticeships allow us to give people a great opportunity to develop a career with us and learn a skill or trade that will accompany them throughout their career and life. We see progression to the Level 4 qualification as key to our strategy of providing development at all stages of an employee’s career with Harrison. We chose HIT as our training provider not only because of their specialist knowledge of the hospitality industry, but also because of their genuine passion for our brand and their understanding of our company culture. We believe that they can deliver our training to a very high standard whilst passing on our company ethos and values. Their attention to detail is second to none. There is a shortage of skilled chefs within in our industry at present and any organisation that truly believes in the value of training and development of bright future stars will enable themselves to be in a strong position for the years ahead. Investing in smart training and development is at the heart of what we do within WSH, so it has been refreshing to work alongside HIT within our Baxterstorey Chef Academy. With a strong local focus, HIT Training offers coverage throughout the nation.  Our skilled trainers and training consultants are based in every county of England. You can apply for a training programme with HIT at any time whether for current staff or looking for new team members. Or if you just need someone to talk to, we’re always pleased to hear from you.